Jackson Browne: is his great heartbreak song about Joni Mitchell? At the Ryman Auditorium in Nashville, the American songwriter Jackson Browne is singing Fountain of Sorrow, his heartbreak anthem from 1974. With its guitar-led, mid-tempo groove and story about coming across a photograph of an old lover, it is a classic of the singersongwriter era, a perfect example of the 65-year-old Browne's ability to give universal significance to intimate moments. It's also strongly rumoured to have been inspired by his brief affair with Joni Mitchell. Backed by songwriter JD Souther, and a team of musicians that includes the slide-guitar legend Ry Cooder, Browne's laid-back vocals resonate through the wood-panelled walls of the Ryman, a sacred space for country fans. Fountain of Sorrow sounds transcendent, a wise and gentle reflection on what happens when you fall out of love with someone, which makes Browne's introduction to this early 1970s masterpiece all the more surprising. "As time went on, it turned out to be a more generous song than she deserved," he says. That makes you wonder: who is the "she", and what did she do that was so terrible? Unresolved issues with old flames notwithstanding, Browne remains the quintessential thinking-person's pop star. He released soft-rock favourites of the Seventies including Late For The Sky and The Pretender, and wrote the million-selling Take It Easy for the Eagles. He is also the epitome of the Californian liberal: good-looking and wealthy while lending his weight to all manner of ecological concerns. After two marriages - the first, to the actress Phyllis Major, ended with her suicide in 1976 and the second, to the Australian model Lynne Sweeney, ended in 1983 when he began a relationship with Hollywood star Daryl Hannah - Browne has been living with the environmentalist Dianna Cohen since the mid-1990s. Father to two sons (Ethan, a model and actor, from his marriage to Major, and Ryan, a musician, from his marriage to Sweeney) he seems to have found a dignified way of being a rock star of pensionable age. Browne is in town for the Americana Awards, the Grammys of US roots music. Everyone from Loretta Lynn to Robert Plant is here, and Browne, honoured with the Spirit of Americana award, has used his time at the podium to explain how a song is a way of describing the life you know to the people around you. It's the kind of speech you would expect from Browne, but the bitterness he hints at feeling for the woman in Fountain of Sorrow comes as a shock. I remind Browne of his comments at the Americana awards when we meet the following day. He laughs, a little nervously. "Yeah ... but it's true of songs in general," he says, leaning back on a chair in the Airstream trailer we're sitting in. "If you write a song about anything specific to your experience it's going to go beyond that. It can't be you relating your exploits to other people. It's got to be about them, so you put in as much as you can. The things that come to bear in that song are the healing and acceptance of each other's differences. That's what I meant by it being more generous than she deserved." So, who is Fountain of Sorrow, with its line "When you see through love's illusion there lies the danger, and your perfect lover just looks like a perfect fool," about? Is it Joni? If so, it belongs in the small but significant canon of break-up songs by famous people about other, unnamed famous people, including Carly Simon's You're So Vain (allegedly Warren Beatty). "It's about the fact that when you fall in love with someone, when you're brokenhearted, you don't see them as a person," Browne replies, by way of answer. Yes, but who is it about? There is one former girlfriend enshrined in song whom Browne is only too happy to identify, suggesting he has happier memories of their time together. Browne was only 17 when, in 1966, he took a road trip from California to New York to start his career as guitarist for Nico, the icy German model, singer, collaborator of the Velvet Underground. Browne wrote the ballad These Days for Nico's solo debut Chelsea Girl, and The Birds of St. Marks, the opening song on his new album Standing In The Breach, is about her. He wrote it when he was 18 after their brief affair came to an end, but it has never been recorded until now. With The Long Way Around, another song from the new album, borrowing the melody of These Days, it almost seems that Browne has turned the album into something of a tribute to Nico. "Nico was a remarkable talent. She rebelled against being considered a beauty, to the extent that she quite deliberately let her beauty go," says Browne, who even in his mid-sixties looks the part of the laid-back, handsome singer. The surfer's hair and slight frame remain unchanged since he was a mainstay of the music community centred on West Hollywood in Los Angeles in the early 1970s, which also included David Crosby, Neil Young and, of course, Mitchell. "When I recorded Long Way Around I realised that I was quoting from Nico's version of These Days rather than my own. So the song became about the passage of time, about all the things that have happened since then and what is happening now." In classic Browne fashion, The Long Way Around is both autobiographical and topical. In one verse he's recalling being a young singer hustling his way through Tinseltown, and then in the next he's singing about how the American economy is based on the politics of envy. "With The Long Way Around I was trying to write about what I feel is wrong with America without preaching, so you need a certain amount of stealth," Browne says. Browne is no stranger to activism. In 1979, he founded Musicians United For Safe Energy, in 2008 he was named Environmentalist of the Year by the Surf Industry Manufacturers' Association for his attempts to make his tours green, and the day after our interview he's off to New York to join Ocean Elders, a group of silver-haired environmentalists including Ted Turner and Young, who have joined together to serve as a catalyst for the protection of the ocean and its wildlife. "The ocean is collapsing, the life we rely on is in danger, and there are no rules governing the high seas," Browne explains. "I don't want a whole album of songs about the ocean," Browne says. "We need music to communicate, but people can't feel they're being scolded and lectured. There's a certain skill in bringing up these subjects with the hope that people then become participants themselves, and it does happen. We're now seeing how industries once relegated to being folkie, hippie ways of producing energy are entering the mainstream." Topical songwriting can also be a liberal luxury, something Browne is only too aware of. Before our interview comes to an end, before he must catch a plane to New York, he recalls a recent encounter with one of his backing singers. "She's from a gospel background, and I was trying to teach her Living in a Poor Man's House by Patty Griffin," Browne says. "She made it very clear: she didn't want to sing about a poor man's house. In fact, she intended to move out of a poor man's house as soon as possible." With that he's gone, off to make the world a better place in the way only a rich, handsome Californian can. Standing in The Breach is out on October 6. Jackson Browne is at the Sage, Gateshead, November 20, Royal Concert Hall, Glasgow, November 21, and the Royal Albert Hall, London, November 24 Great songs about ex-lovers ? You're So Vain (1972) Carly Simon The daddy of celebrity break-up songs, although Simon still isn't saying whether it's about Warren Beatty. Or Jack Nicholson. Or Kris Kristofferson. When The Times asked her in 2010, she ruled out Mick Jagger and David Geffen, but still refused to divulge the culprit. Go Your Own Way (1977) Fleetwood Mac The centrepiece of Rumours, the ultimate divorce album, was written Lindsey Buckingham about the end of his relationship with band-mate Stevie Nicks: "Loving you/Isn't the right thing to do"
Justin Timberlake "You don't have to say, what you did/I already know, I found out from him," sang a heartbroken Timberlake, apparently referring to his girlfriend Britney Spears's alleged infidelity with his pal Wade Robson. Now there's Just no chance/For you and me, there'll never be." Ouch. by Taylor Swift "I knew his world moved too fast and burned too bright/But I Just thought, how can the devil be pulling you toward someone who looks so much like an angel when he smiles at you?" Swift sang on a song that is held to be about her former boyfriend, Harry Styles of One Direction. by Ed Sheeran Dynamiting his reputation as the nice guy of pop, Sheeran responded to the breakdown of his relationship with singer Ellie Goulding with this song on his recent album, X. "I reckon she was only looking for a lover to burn," he sings, a reference to Goulding's biggest hit, Burn. Fountain of Sorrow turned out to be a more generous song than she deserved. This article has been viewed 81,608 times since being added on October 7, 2014. 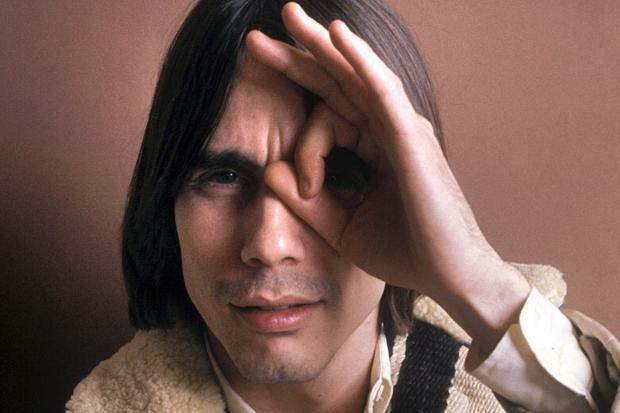 Comments on Jackson Browne: is his great heartbreak song about Joni Mitchell?